Desiree Harrison has one of the most unusual jobs in California. As a guide at Pacific Dunes Ranch Riding Stables, she leads horseback riding trips through a lushly forested area that includes a creek that's inhabited by beavers and frequented by deer, before reaching one of the only beaches in California where people can go horseback riding. She then takes riders back on another trail that traverses the scenic Oceano Dunes, an 18-mile-long stretch of sand dunes that were once inhabited by the Chumash Indians. "This is one of only of handful of areas along the California coast where you can go horseback riding through forest, along a beach and cut through scenic sand dunes on the same ride," said Harrison, who works as assistant general manager of the stables, which generates much of its business from Pacific Dunes Ranch RV Resort, a 215-site RV park that's part of the Equity LifeStyle Properties chain. RV travelers visiting the Pismo Beach area drive right past the Pacific Dunes Ranch Riding Stables on their way to the RV resort. And if they have children with them, chances are they won't be able to get out of there without first taking a horseback ride. "For a lot of kids, this is their first horseback riding experience," said Ken Napp, the stable's manager, adding, "Our trips are geared toward families and beginners." Several rides are scheduled each day except Wednesday and Thursday and are available to children 7 and older. "Unless it's raining, we're open," Napp said. He added that while the Pacific Dunes Ranch RV Resort is also a popular destination for off-road vehicle enthusiasts who are drawn to a 1,500-acre section of the Oceano Sand Dunes that are open to off road vehicle use. "Oftentimes, the guys will go off-loading and the girls will come over here and go horseback riding with us," he said. 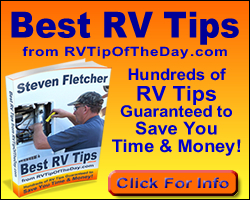 RVers traveling with their own horses can also board them at the stables overnight. "We have 18 stalls available for overnight use," Napp said. 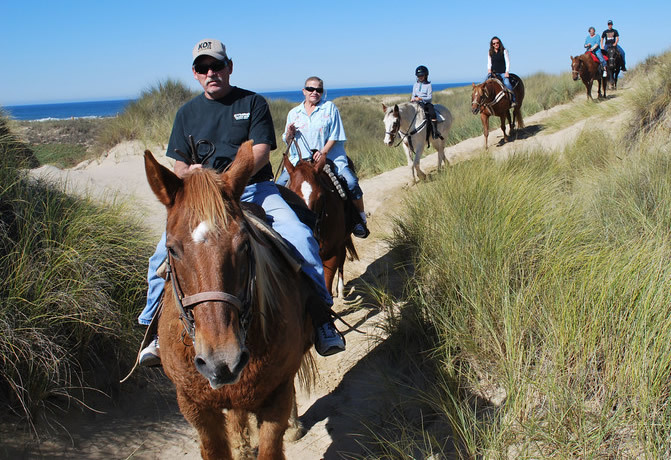 "Pacific Dunes RV Resort and the adjacent riding stables are one of the most unique destinations along the California coast," said Debbie Sipe, executive director of RV Parks and Campgrounds, adding that they are popular stops for travelers who are touring the California coast. For more information on Pacific Dunes Ranch RV Resort and the stables, please visit www.RVonTheGo.com. For additional commentary, statistics and sources on the latest camping trends in campgrounds, RV parks and resorts or for leads on parks in your news coverage area, please contact Debbie Sipe at (530) 885-1624. Listings of private campgrounds, online reservation requests and other camping-related information is also available at www.Camp-California.com.